Doc On A Stick Contest! Enter to Win & Get Rewards! 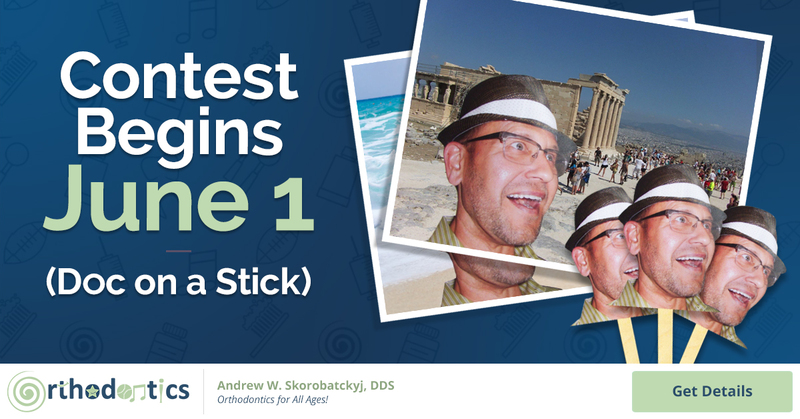 Posted in Just for Fun | Also tagged Doc on a Stick Contest, Dr. Andy, Facebook Contest Comments Off on Doc On A Stick Contest! Enter to Win & Get Rewards! Posted in Braces, Just for Fun | Also tagged Facebook Contest Comments Off on Summer Braces Photo Contest!